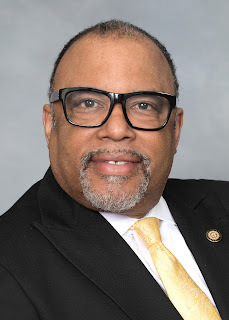 North Carolina’s two African-American congressional representatives have joined the worldwide condemnation of President Donald Trump’s lackluster performance alongside Russian President Vladimir Putin during a joint press conference in Helsinki, Finland Monday, July 16th. Their reaction is key, because both Rep. Alma Adams (D-NC-12) and Rep. G. K. Butterfield (D-NC-1), have come close in the past, but have not joined other members of the Congressional Black Caucus in calling for Trump’s impeachment. Now, in the aftermath of the president publicly doubting his own intelligence agencies’ view that Russia did indeed interfere with the 2016 presidential elections, despite indictments against twelve Russian agents for hacking into the Democratic National Committee computers in an effort to undermine candidate Hillary Clinton, there may be a change of mind. Congressman Butterfield was just as outdone. “President Trump chose to align himself with, and defend a violent autocrat who ordered a cyber attack on the US and our democracy, instead of standing with the American people, our own intelligence community, and our international partners,” tweeted Butterfield Tuesday. But Rep. Butterfield shifted the target of his ire towards congressional Republicans, challenging them to take action against the titular leader of their party. No doubt that Congressman Butterfield, and his Democratic colleagues in the US House and Senate, hope to use Monday’s presidential debacle effectively against the GOP in the upcoming fall midterm elections. Political observers were predicting a Democratic “blue wave” of voters, frustrated with the daily controversies and investigations surrounding the president, to wash-in November 6th, and effectively “wash” the Republicans out of both the House and Senate, handing Congress back to the Democrats. Butterfield made it clear in his last tweet that either the GOP deal with Trump, or ultimately pay for their inaction. “Every day Congressional Republicans refuse to act, they become more complicit in Donald Trump’s unraveling of America’s values and institutions,” Rep. Butterfield concluded. Some Republicans, led by Sen. John McCain, have rebuked Trump, but thus far, no action has been taken. State Sen. Erica Smith (D-Bertie), chair of the NC Legislative Black Caucus, has now weighed in, on behalf of the NCLBC, on the growing controversy over the Republican-led legislative majority rejecting Gov. Roy Cooper’s nomination of former Secretary of Crime Control and Public Safety Bryan Beatty, an African-American, for a special superior court seat on June 29thas the short session was ending. “Secretary Beatty was voted out with no explanation whatsoever. 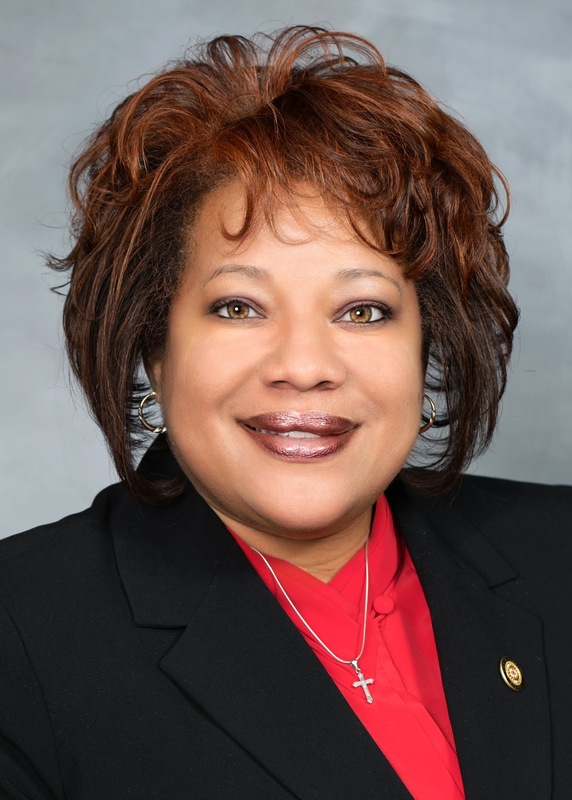 The North Carolina Legislative Black Caucus fully supports Secretary Beatty and calls for the GOP to reconsider this appoint,” the NCLBC chairwoman continued. 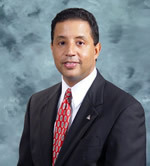 Beatty was also a former director of the State Bureau of Investigation, and a graduate of UNC – Chapel Hill Law School. The Senate Judiciary Committee, one of three state legislative committees Sec. Beatty appeared before and cleared in consideration for the judicial seat, is co-chaired by three Republicans – Sen. Tamara Barringer (Wake); Sen. Warren Daniel (Burke); and Sen. Shirley B. Randleman (Stokes). There are 21 members in all on that panel – 6 Democrats including Sen. Paul Lowe (Forsyth), Majority Leader Dan Blue (Wake), Sen. Floyd McKissick, Jr.(Durham), Sen. Terry Van Duyn (Buncombe), Sen. Jeff Jackson (Mecklenburg) and retired Superior Court Judge Milton “Toby” Fitch, Jr. (Wilson); and 12 other Republicans. In an interview this week, Sen. Lowe maintains that no one on the committee said anything negative about Secretary Beatty’s nomination after he was questioned, and it passed unanimously. In fact, Lowe recalls, while the white male judicial nominee from Lumberton also passed committee muster “with flying colors,” the white female judicial nominee didn’t attend that committee meeting at all. But when it reached the joint session of the legislature on June 29th, the Republican majority in both the Senate and House voted Beatty’s nomination down without explanation. “It was extremely disappointing ….the way [Republicans] addressed it in the joint session, was to not address it all,” Lowe opined. The Forsyth County Democrat said the main reason clearly was because Beatty was one of Gov. Cooper’s judicial nominees. But the GOP lawmakers did ratify Cooper’s other two judicial nominees for special superior court seats – a white male and white female. Lowe maintains that last part is speculation on his part, but still, to many, what Republicans did, and how they did it, speaks yarns. [RALEIGH] State Rep. Grier Martin (D-Wake) joined the chorus of both Democrats and Republicans in severely criticizing Pres. Trump’s performance in Helsinki, Finland, where Trump dismissed the findings of his own intelligence community in favor of appeasing Russian Pres. Vladmir Putin. “. @realDonaldTrump,don’t come back. You are not worthy to stand on American soil made free by the sacrifices of men and women better than you,” Martin tweeted. He is a 28-year military veteran of the US Army Reserves. Republicans, defending the president, accused Martin of trying to further divide the country with his remarks. [BLADEN COUNTY] State health officials are scheduled to begin testing some of the residents living near the Chemours’ Fayetteville plant that produces the controversial chemical Gen X. Officials are looking for at least 30 neighbors to volunteer to submit blood and urine samples. The federal Centers for Disease Control will conduct the analysis. There is a concern that Gen X, which was found in the Cape Fear River drinking water supply, could cause cancer. [RALEIGH] State Dept. of Public Instruction Supt. Mark Johnson has ordered his top staff members to report only to him, and not to the State Board of Education, as they normally would do as well. Johnson, who has been in a power struggle with the board since he was elected in 2016, wrote a July 2 letter saying, ““With the 8 June 2018 North Carolina Supreme Court ruling upholding the constitutionality of Session Law 2016-126, I am now exercising my authority under that Act to manage administrative and supervisory personnel of the Department. Accordingly, I am changing your position appointment from “dual report” to reporting [only to the Superintendent directly] or [to the Superintendent through the Deputy State Superintendent]. The change in your appointment is effective immediately,” Johnson wrote.